If you've spent most of your life in one geographic location, you're probably pretty familiar with the weather there (unless you're a hermit). If you live in a tropical climate (and haven't done much traveling), maybe you've never even seen snow. 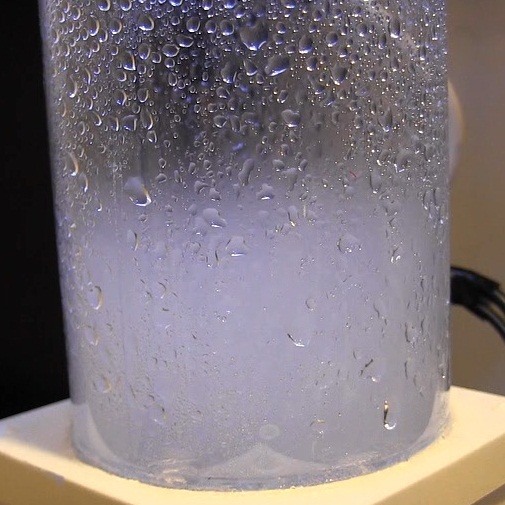 Regardless, the idea of a tiny, self-contained universe that can mimic any weather condition is pretty cool. That's exactly what the "Tempescope" is—an ambient weather display that changes based on what's going on outside. In terms of materials, it's not a complicated device. 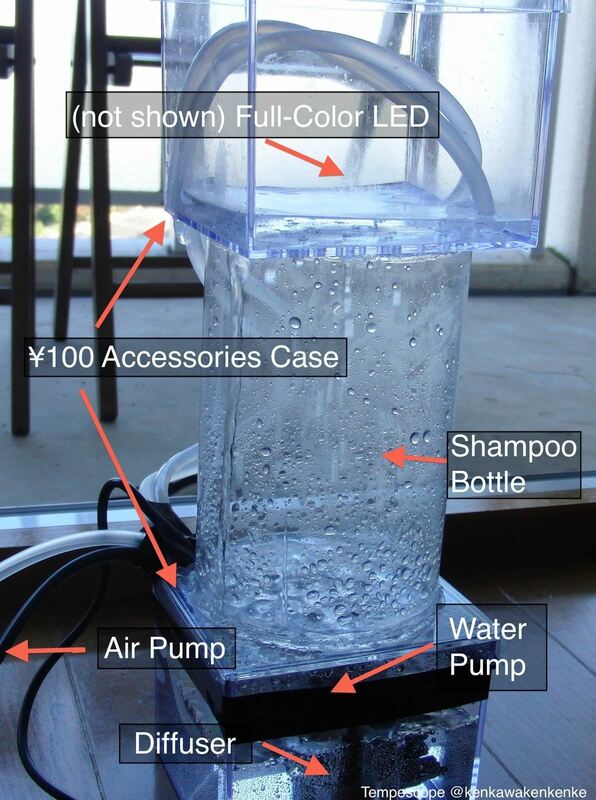 It's basically an empty shampoo bottle, water and air pumps, and an ultrasound diffuser. LEDs give it the ability to change based on how light or dark it is outside. The electronics consist of "an Arduino Uno controlling 3 SSRs and a full-color LED," with an SD card to save animation sequences. It uses the API from Wunderground to create Java applications for two different modes, tomorrow's forecast or "world weather," which lets you see the current conditions anywhere on the planet. 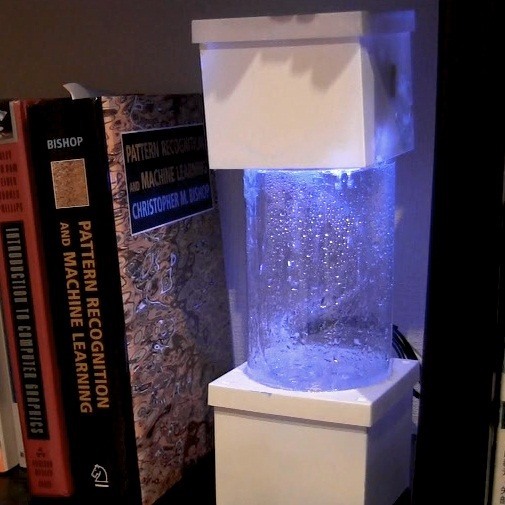 The Tempescope can reproduce four weather conditions—rain, clouds, sunlight, and even lightning. It may not be the same thing as being there, but wouldn't it be nice to have a little piece of your favorite place on your desk? Check out the project page for details and to learn more about how it works. For another weather-related hack, check out this DIY smart umbrella stand that tells you if you should take your rain shield or not.